This weekend, October 29 and 30, Carl and I will be training the worship teams at Johnston Evangelical Free Church in Johnston, IA. 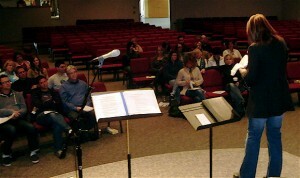 Although the Saturday intensive workshops are a private function for the Johnston E-Free Church worship teams, Sunday morning is open for everyone to come. If you’re in the area, I hope to see you there! Come and worship with us! Location and service times are listed below.